Hey! Summer’s here! It’s great; wall-to-wall sunshine, Saturday afternoons in the beer garden, barbecues at home with friends and family and endless late nights where it never seems to get dark. But…..hang on, you’re still thinking about the nine months of biting wind and rain and the hard slog that we call the football season aren’t you? And let’s not kid ourselves, we don’t really care too much about summer right now because we are stuck in a sense of interminable doom brought about by Leeds United’s late season slide out of the play-off zone. Too soon to think about holidays and al fresco dining on the decking of an evening? Yeah, probably. We’re still thinking about Burton away and that injury time equaliser conceded at Fulham and how Reading have managed to stay in the top six and well, um, erm…..yeah. So it’s over for another season and Leeds United have done yet another impossibly ‘Leeds United’ thing; raised hopes out of nothing, delivered some scintillating afternoons and evenings and then let us down at the end, like a jilted bride left high and dry at the altar. At times like this, we could console ourselves with the fact that there is a 75% chance this sense of crushing despair would hit us 100 times harder in a few weeks, as only one team out of four can prosper through the play-offs system. There is a tendency to forget the odds are stacked against you, and people call the play-offs a ‘lottery’ because that is pretty close to what they are. Right now though, we would gladly sell a limb for the opportunity to chuck our ticket into the pot and line-up in the tension-filled, nerve-shredding vortex of potential calamity that makes up the play-offs, even in the knowledge that anguish and pain is more likely than not to arrive on your doorstep at some point, be it in the two-legged semi-final or at Wembley Stadium in the final. But let’s face it, we’d rather take the chance. We had all started making plans of some sort and had dropped some pretty subtle hints to our other halves that we would be disappearing for a long weekend at the end of May, and we had started drip feeding funds into a large pot to cover the enormous cost of a Play-Off Final weekend. But it’s not to be, that £500 can be put to better use and those brownie points can be saved for something that does actually happen. Leeds United’s season is over. Of course, we should remind ourselves that this season has been beyond all our expectations, looking at the squad and another new management team walking into the unknown back in August. Few people predicted anything other than another arduous nine month battle to stay anchored in mid-table. That we have enjoyed countless exhilarating games at Elland Road and on the road this season is testament to the amazing job manager Garry Monk and his coaching staff have done, and while we can get frustrated that we perhaps didn’t do enough in the January transfer window, and that with eight games to go we were in a very strong position, a seventh-placed finish shows incredible progress from last season, and notwithstanding the shattering late loss of form, ‘progress’ is all we ever wanted to see this season. At the Old Peacock we are used to the big crowds before Kick-Off of course, but on many occasions the atmosphere has been just as vibrant after the games too. We are conditioned to seeing fans flowing back in with sullen faces and muttering obscenities about another Leeds defeat, but this season there has been a natural buoyancy all day and all night, which we would love to bottle and sell for you to take home. But I guess, it is unmistakably the Old Peacock. We think back to home wins over Barnsley, Aston Villa and Derby, and then Sheffield Wednesday, Brighton and Preston and these were special occasions that we hadn’t seen in a long time. Happy faces, genuine pride in the team and the club, and essentially, a belief that ‘something’ was happening again at Elland Road. It is important that we remember those occasions whilst we feast on the disappointment of missing out on the play-offs, and if the club do the right thing over the summer, hopefully this is just the start. Naturally, with Leeds United, that is a big ‘if’. But the overriding hope now is that the club is more settled, there are full takeover plans in place and with a more stable ownership structure only good things can happen; and that means keeping Garry Monk for next season and beyond and making the most of the progress we have undoubtedly made this season. As I write there is just one game left in the 2016/17 campaign, away at Wigan Athletic; a dead rubber of a game, with Leeds needing to win 13-0 (and rely on Fulham losing) and Wigan already relegated. 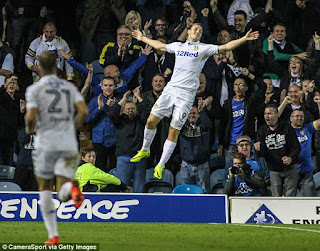 We should be thankful that there has only been one meaningless game this season, when usually that is the case from January onwards, but certainly Leeds fans have had a taste of what actually competing for promotion feels like and we all want more, so it is up to the club to manage the summer in the right way, and to bring us back in August with a genuine feeling of optimism. For our part, we would like to thank our loyal, dedicated and extremely patient staff, who we think do an amazing job in very challenging circumstances on matchdays. Each Elland Road game involves an enormous amount of planning and we think we have got it just about right. 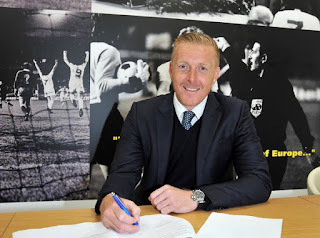 We will make improvements for next season, just like Garry Monk and the team will, and we hope to see you again in August, if not during the close season when our quality food menus continue and you can sample the unique Old Peacock atmosphere seven days a week. But on that note we also want to thank you our loyal customers for your unstinting thirst during this and many other seasons. Chin up, we will all be back in August and we will start again afresh. Keep marching on together and enjoy the close season, from everyone at the Old Peacock.